With festival season technically over, it’s always best to know what to do in the event that you actually are attending a festival of some sorts during the off-season. What is CMJ anyway? Is that like Coachella? Well…sort of, except two entire boroughs of New York City are essentially your playing field and no one is wearing a flower crown. 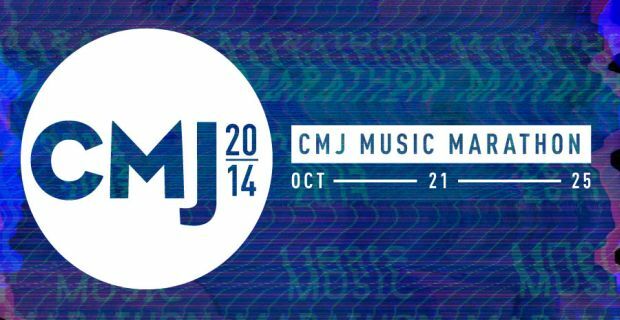 The CMJ Music Marathon is a week long (October 21-25, in 2014’s case) annual music festival that now features over 1,300 artists and is held in over eighty bars and concert venues in Manhattan and Brooklyn. A lot of music industry-related conferences and seminars about every aspect of music you can think of are held during the day at New York University’s Kimmel Center, and a series of shows by both up-and-coming and breakthrough acts are held late in the afternoon and at night. The festival is flocked by record labels and producers all over the country in hopes of finding the next Simon and Garfunkel. Under The Gun is heading out to the marathon this year and in the event that you are planning on doing the same, we’ve got a few tips to make sure you’ll make the most of your time there. This should be second nature to an attendee before every festival. This one especially. Check out the marathon’s full lineup and schedule here, and make your own timetable of the artists you want to go see; include the venues and the time slots. A lot of these shows run from either 1:00pm-5:00pm or from 6:00pm-1/2:00am, so you have plenty of time. In the event that you are planning to attend different seminars at NYU in the morning, map those out, too. Let’s be real: Whether you’re there to be all corporate and on the lookout for artists you should potentially sign or you’re there to be the crowd-surfing fan, you’re not actually hopping on a cab whenever you plan to switch venues. It’s $2.50 each way from one end of Manhattan to the other end of Brooklyn. Why make life harder for your wallet? A cool thing about CMJ showcases is that a lot of them are held in intimate hipster venues on an obscure avenue you probably have never even been on. This means that a lot of these bars are tiny and will reach capacity in no time. Keep in mind that CMJ badges are also subject to capping because a good amount of these shows are also available to the general public. All of the people putting on these showcases are doing it for you, the music-loving, talent-hiring, bar-hopping badge owner. Most showcases will give out goodie bags with things like posters, stickers, water bottles, pens, pins, CDs, and even test press vinyl records. Take advantage of them. They are free. SWAG! New York City doesn’t always host huge festivals like this because, well, it’s a busy city. When it does, though, it makes sure it welcomes you with open arms. Go wild. Sit through an Entertainment Business Law Seminar or a College Radio Day seminar at NYU. Get lost in Brooklyn. You’ll probably end up in a random bar hosting a CMJ showcase anyway. Go out and see a bunch of artists you’ve never ever heard of. This is an excellent platform for both performers and fans alike to get to know one another. People stood on the spot you’ll be standing on in 2004 when Arcade Fire played a 250-cap venue and in 2009 when Mumford & Sons played the same venue for the first time. That one band you saw in that one bar that one night on the lower east side could be a Grammy nominee in the future. Embrace that.